Farming equipment for the cultivation of hemp | News & Exhibitions | COSMECO S.r.l. With the entry into force of the Commission Delegated Regulation EU 2017/1155 of 15 February 2017, the cultivation of hemp with levels of THC below 0.2% does not imply any legal problem. This activity furthermore, may reveal to be a good source of income for both neophyte farmers, and those already operating in this sector and who intend to diversify and optimize the use of their lands. However, they will have to choose the right machinery to cultivate cannabis in order to obtain the best yields possible. Which machinery should be used to best cultivate the hemp plant? In particular, water stagnation is a problem that could lead to the death of the plant, especially during the days subsequent to the sowing, and this problem is avoided because of cultivation on soil seedbeds. Once you have purchased the right means, you may start up the production and cultivate the hemp in a well-sifted and well-aired soil that can offer the plants a substantial amount of organic substances needed to make them grow best. Moreover, the correct preparation of the field will enable the utmost result to be achieved in terms of yields. Why start up hemp cultivation? 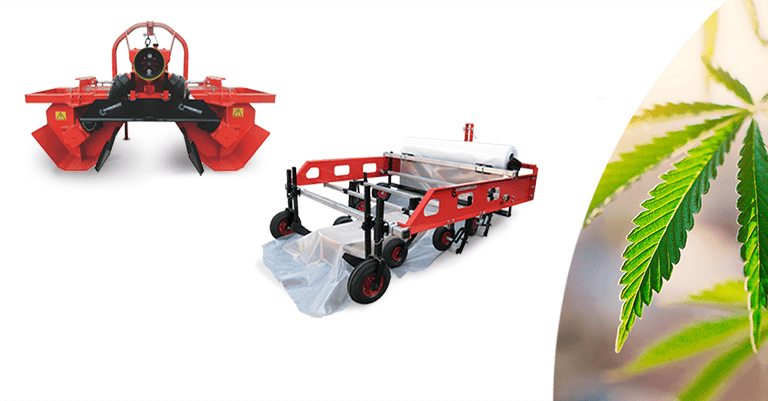 Do you need detailed information on the machines used for this type of cultivation? If you wish to have further information on the machines that are most suitable to hemp cultivation, do not hesitate to access the contacts section on our web site. You will immediately receive a thorough answer to all your questions.